Movember is actually an awareness campaign raised every November in order to raise awareness about male health issues like Prostrate Cancer. Many men around the world take part in this by growing moustache , this is a fun way to raise awareness. Nail art community participates by drawing moustaches on nails :) If you look up for #moustachenails or #movembernails you will see a lot of designs. 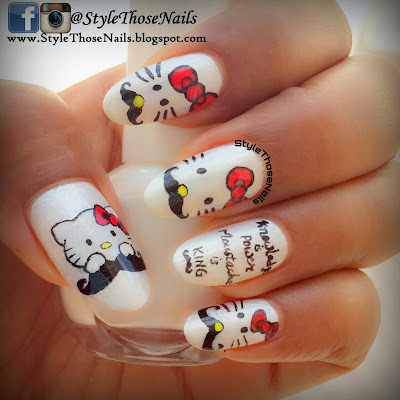 Below are the images with links to source who are my source of inspiration for this nailart. 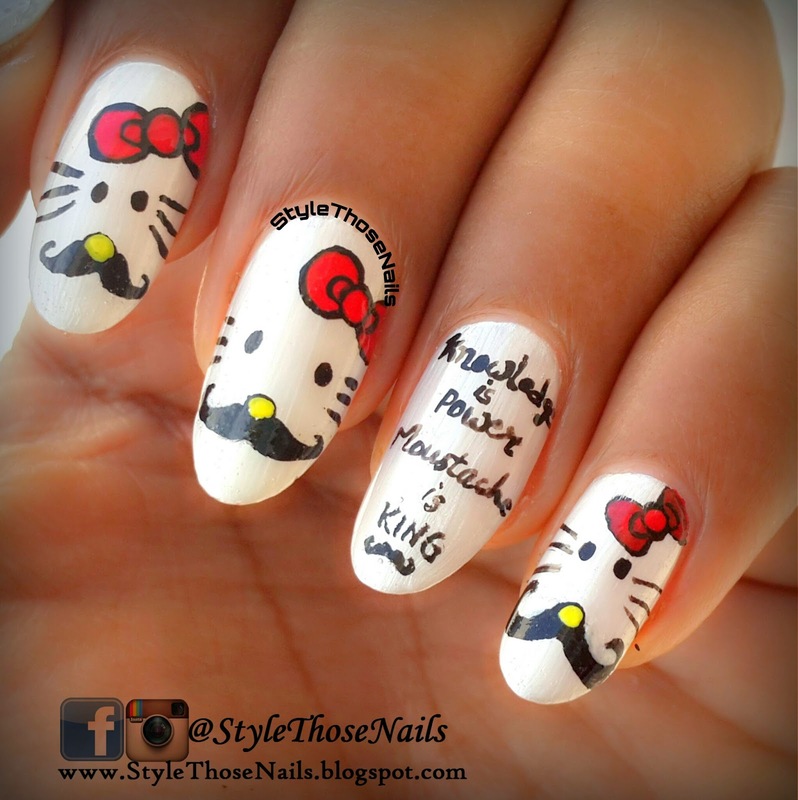 Hope you like this nailart and if yes! don't forget to leave your feedback. I would love to read them. 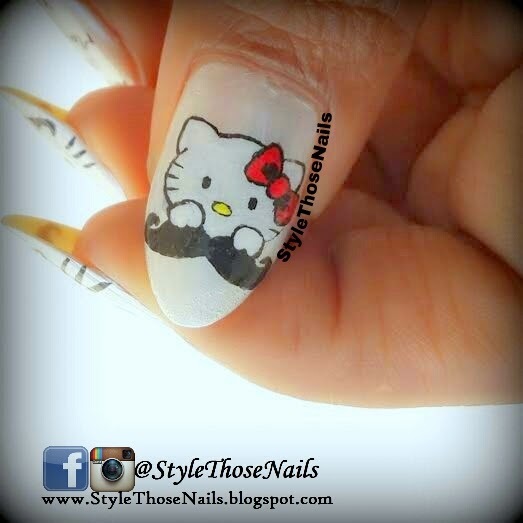 I will be shortly posting a VIDEO on how I did those hello kitties on my finger nails. So don't forget to subscribe to my blog to keep yourself updated also I would love if you follow my social pages including YouTube.